SNAFU! : S. Koreans protest Anti-Missile System designed to protect them. Why do we bother? S. Koreans protest Anti-Missile System designed to protect them. Why do we bother? U.S. Army trucks brought four more THAAD anti-missile launchers onto a former golf course in South Korea on Thursday, following clashes between police and protesters trying to block the road. Two of the Terminal High Altitude Area Defense system launchers were already in place, but the remaining four in the battery had been put on hold pending an environmental study. On Wednesday, the South Korean Defense Ministry gave approval to the placement of six launchers in response to North Korea’s underground detonation last week of a nuclear weapon that may have been a hydrogen bomb. 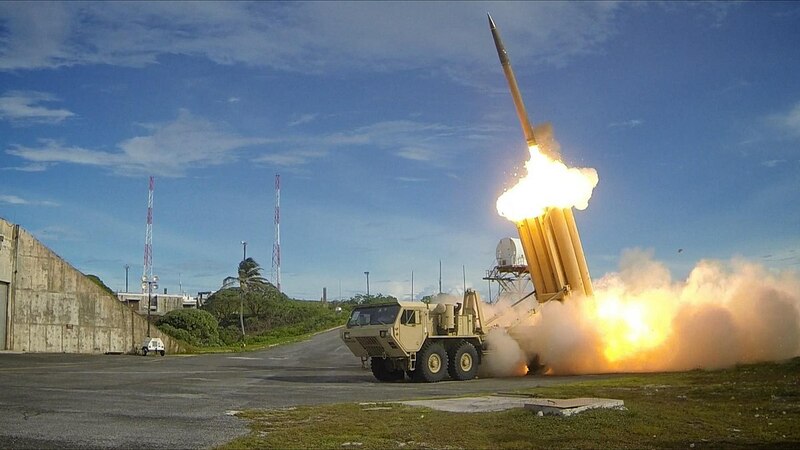 “After consultations with Washington, the additional THAAD launchers will be installed on a temporary basis together with other construction equipment and materials,” the Defense Ministry said. No rant. Just this. Why do we bother? The S. Koreans and Japanese protest our bases, our aircraft and now a weapon system that is being put in place to protect them. The Pentagon wants to do a round of base closing? I recommend they start overseas.